French classic and country pillows. Add charming color and comfort. This large 20" square pillow covering is entirely composed of hand beaded assortment of delicate, round pellets in multiple colors. The effect of the beading process gives the appearance of a glow with a soft and warm golden color tone, part of our Winter 2019 color story. 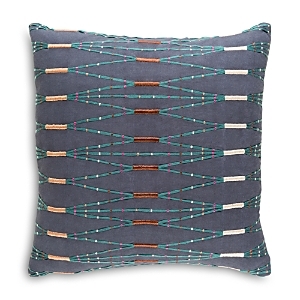 Solid metallic embroidery fills the entire surface of this beautiful pillow. The embroidery is interrupted by solid black fields of hand beaded shapes that help create the circles and squares of the design. The design is meant to mimic marquetry, inlaid work made from small pieces of variously colored wood or other materials used chiefly for the decoration of furniture Solid metallic embroidery fills the entire surface of this beautiful pillow. Triangular marquetry patterns on the surface mimic marquetry on wooden surfaces, inlaid work made from small pieces of variously colored wood or other materials used chiefly for the decoration of furniture. Delacroix Trellis was inspired by the works of Eugene Delacroix. In expressive strokes and rich hues a bouquet of wildflowers comes alive. Delacroix's works exemplified the French Romantic movement and laid the groundwork for Impressionism. Delacroix Trio pillow was inspired by a floral painting from Eugene Delacroix. Regarded as the leader in French Romantic movement, Delacroix was known for expressive strokes in his works, and providing the groundwork for Impressionism. Here a sunflower, dahlias and wildflowers are arranged. The following is a collection of pillows inspired by the abstract expressionist works of Odilon Redon. Each piece captures a movement in nature in saturated hues. The following is a collection of pillows inspired by the abstract expressionist works of Odilon Redon. Each piece captures a movement in nature in saturated hues. Our Blue Sutra pillow was inspired by the intricate patterns and motifs found within Oushak rugs from Turkey. When examined carefully, these beautiful patterns symbolized the local flora of the Anatolian region. Leveraging computer graphics, colours have been saturated and contrasts have been refined for a unique composition of pattern at play. Pillows sold individually. Thornton roses pillow (shown in front) inspired by scientific botanical plates; Pissarro peonies pillow (shown in middle) inspired by a Camille Pissarro still life; Lillian's Flight pillow (shown in back) inspired by Dutch still life paintings. Polyester and cotton. Each, 20"Sq. 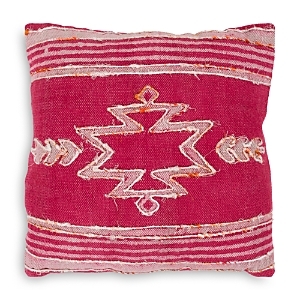 Handcrafted, hand-woven pillow in silk soft texture with unique designs and bright colors. 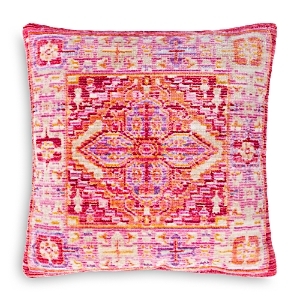 Handcrafted, hand-woven silk velvet textile pillow with bright, colorful, and unique design patterns. Linen-Blend Pillows Multi Pattern Pillow Collection Massoud Tibetan Lamb Pillows, 20" x 12"
Handcrafted pillow. Linen/cotton. Woven striped pillow with multicolored accents. Woven pillow in mixed pattern stripes. Embroidered pillow with tassels at corners. Pillow with Tibetan lamb (China) front. Polyester micro suede reverse. Handcrafted by artisans using centuries-old dyeing and weaving techniques. Hand-woven hand-dyed pure silk velvet. Backed in pure linen. Down and feather fill. 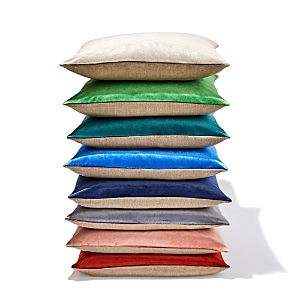 This luxuriously soft velvet pillow lends a festive touch to any seat. Handcrafted by artisans using centuries-old dyeing and weaving techniques. Hand-woven hand-dyed pure silk velvet. Backed in pure linen. Down and feather fill. Oversized tassels add style and texture to this striped pillow – a luxe, boho-chic statement on any couch, chair, or bed. Whether adorning a sofa, chair, or bed, this floral pillow adds a touch of colorful charm wherever it's placed. 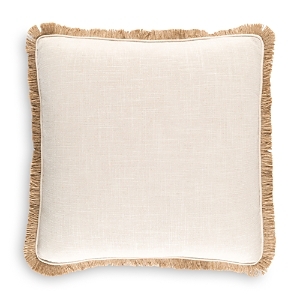 With a subtle shine in its tufts and fringe, this multi-textured throw pillow lends a playful touch to a sofa or chair. Digitally printed modern abstract artwork by Carol Benson-Cobb on double sided velvet pillows. Derived from original artworks with natural colors on soft luxurious velvet fabric. Born of appreciation for cultural art and natural aesthetics, Los Angeles studio All Roads Design is renowned for their ability to pair handmade with high-style. Founders Robert Dougherty and Janelle Pietrzak combine their backgrounds in carpentry, welding and textile sourcing to create custom furnishings and one-of-a-kind decor that never fails to catch the eye. Digitally printed modern abstract artwork by Carol Benson-Cobb on a double sided velvet pillows. Derived from original artworks with natural colors on soft luxurious velvet fabric. Effortlessly elevate the look of any space with the elegant floral-medallion embroidery featured at the front of this stylish Katarina decorative pillow from VCNY Home. Effortlessly elevate the look of any space with the elegant floral-medallion embroidery featured at the front of this stylish Katarina decorative pillow from VCNY Home. Effortlessly elevate the look of any space with the elegant floral-medallion embroidery featured at the front of this stylish Katarina decorative pillow from VCNY Home. 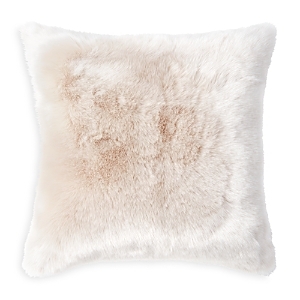 Handcrafted faux fur (acrylic/polyester) pillow. Feather fill included. Handcrafted pillow. 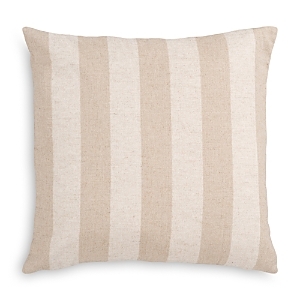 Handcrafted striped pillow. Handcrafted pillow with allover sequin embellishment. Handcrafted faux-fur pillow. Esme Lake Knife Edge Pillow, Facet Ice Decorative Pillow and Britt Lagoon Decorative Pillow all handcrafted Handcrafted faux fur (acrylic) throw, pillow. Faux fur throw blanket. 53" x 80". Polyester. Handcrafted gray pillow. Handcrafted checkered pillow. Handcrafted pillow with Greek key taping. Handcrafted faux fur (acrylic/polyester) throw blanket. Handcrafted multicolored pillow. Handcrafted in metallic giraffe pattern. 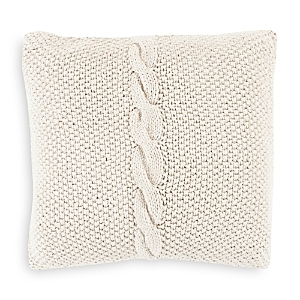 Handcrafted toss pillow. Mist Amethyst Knife-Edge Pillow. Imogen Metal Knife-Edge Pillow. Venice Amethyst Knife-Edge Pillow. All handcrafted Marana Marsh Knife-Edge Pillow. Handcrafted velvet pillow in multicolored dimensional design. Hand-Painted Breeze Shell Lumbar Pillow. Pillow hand-painted by Chicago artist. Galaxy Lagoon Knife-Edge Pillow. Handcrafted pillow in multicolored abstract print. 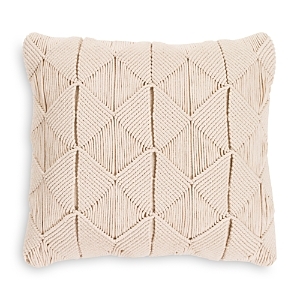 Handcrafted woven pillow in multidimensional stripes. 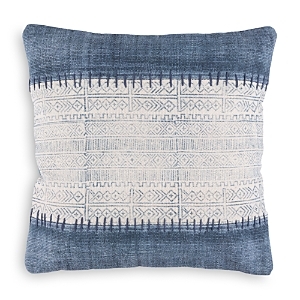 Handcrafted pillow with petite brush fringe. Create a statement for your interior scheme with this large square decorative pillow brought to you by the house of Lacroix. A kaleidoscopic myriad of graphic patterns and colors with a central circle creating the effect stained glass but with a few surprises! Digitally printed onto sleek silk satin. Decorative pillow with floral knit pattern. A wonderful decoupage inspired decorative pillow from the Parisian design house of Christian Lacroix. Lords and Ladies are masked within an eclectic array of imagery with a harlequin patterned backdrop. 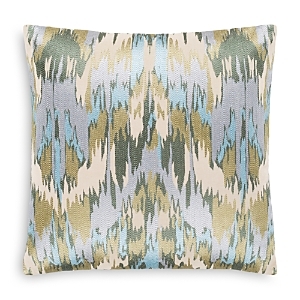 This luxurious decorative pillow is digitally printed onto cotton with embroidered highlights. Reversible pillows sold separately. Digitally printed cotton with prismatic chevron reverse. Jungle king pillow (shown in front), 18"Dia. Dona Jirafa pillow (shown in middle), 18"Dia. Bagatelle Reglise pillow (shown in back), 24" x 18". Feather fillers. Taking inspiration from vintage Japanese textiles, this exotic cushion from Maison Christian Lacroix Paris combines vibrant colorful patterns in a patchwork style. 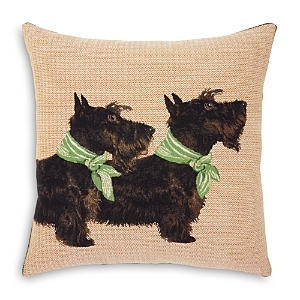 This stylish statement cushion is digitally printed onto cotton with bold embroidered highlights. Toucan-print pillow. Cotton. Patchwork pillow. Cotton. Mixed floral and diamond-pattern pillow. Cotton. Patchwork pillow. Cotton. Mix-pattern pillow. Cotton. Segmented floral pillow. Cotton/polyester.